Dog parks are a tricky business. In some respects, it gives your dog a wonderful opportunity to socialize, burn off excess energy, and to learn commands under high stimulation. However, there are a lot of negatives that come with dog parks. While you may have properly socialized or trained your dog, others may have not. Even worse? Many owners will let their dogs loose and not even pay attention to them. Two incidents at our local dog park have put me off of them and now I much prefer to do doggy play dates with dogs we know. The first one was when a boxer attacked Briggs. I'm not pointing out the breed to say that Boxers are aggressive. I happen to love Boxers. But I am pointing out there is a size difference between a Boston Terrier and a Boxer. The owner of this boxer was on the other side of the park gossiping with her friends. The boxer pinned Briggs and had him by the neck. It took three people to pull him off. We were screaming the whole time and the owner did nothing. Only when it was over did she come over to see what had happened. I yelled at her and she was furious with me. As far as I am concerned, not paying attention to your dog at a dog park is inexcusable. The second incident that occurred simply amazed me. Recently, a biergarten has opened up in the same park as where the local dog park is. I watched one sunny afternoon as a couple dropped their dog off in the dog park and then strolled over to the biergarten for some beers. This floored me. I would never leave Briggs or Blue unattended at a dog park. Not only for their own safety but also for the safety of other dogs. You never know when your precious bundle will snap at another dog. 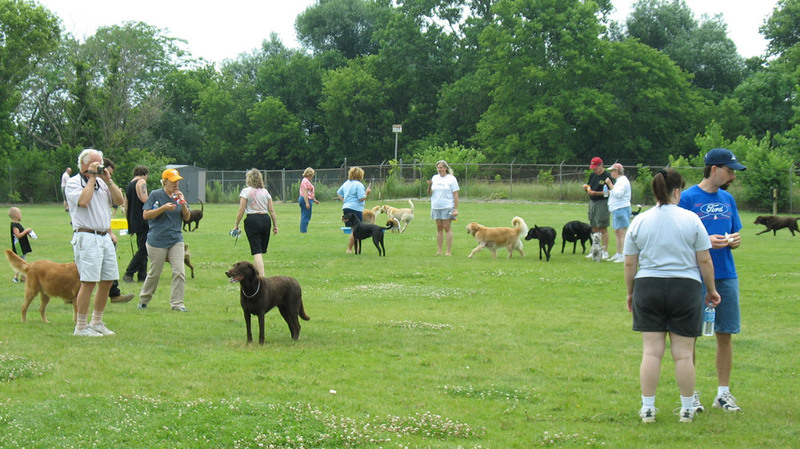 Check out this article for some good tips on dog park rules to follow. October 30, 2013 by Tricia O'Malley.